welcome to our full-immersion arts program for children entering 3rd grade and up, interested in the Dramatic Arts, Visual Arts or Dance. Each child will choose one "major," of either Drama, Visual Arts or Dance. They will also choose two "minors," including options such as dance, instructional swim, glee club, ceramics and sculpture, graphic design, Scratch animation, vector graphic design, Photoshop, textile art and private or semi-private instrumental lessons. Our seven art studios and beautiful theater and arts center, all fully air-conditioned, will be the perfect location! The program will culminate in dramatic productions as well as art shows and participation in our "Evening of the Stars." Of course they will take advantage of a daily recreational swim, an athletic activity and our hot lunch. They will also enjoy all of our regularly scheduled weekly trips for children their age. Our world-class professional staff will encourage children to reach a high level of performance in the arts and have a load of fun! 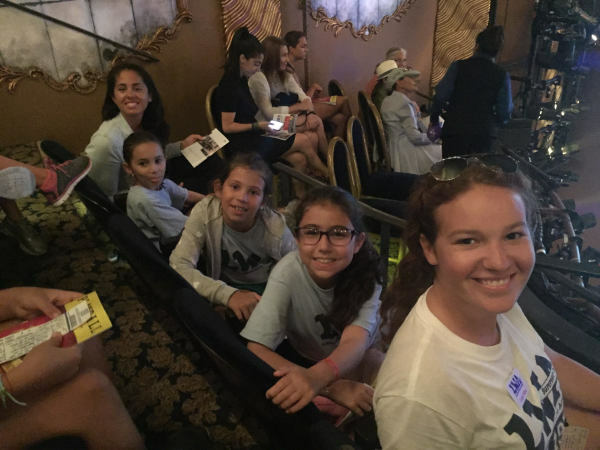 The group will attend two Broadway shows, museum visits, behind-the-scenes workshops and tours. Local artisans and musicians will share their expertise with our CCA kids, both on and off campus! This is an LWASD season commitment and adds $500 to our standard tuition. Let your children join us in soaring into the arts!